1948 ENGLEWOOD FOOD LOCKERS, INC Robert (Bob) L Smith and his partner and father, Lloyd E Smith establish "EFL", a frozen-food storage facility with meat processing that includes cutting, packaging, and flash freezing beef sides and quarters, curing and smoking hams, bacon, and sausage, and retail sales. 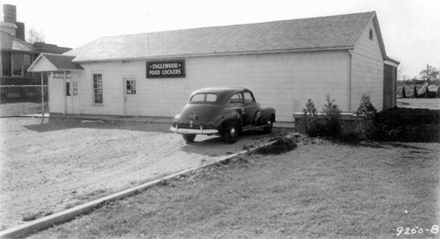 1968 KING KOLD,INC Bob Smith and son, Doug, establish "KKI" as a meat purveyor having delivery routes to local restaurants and institutions. 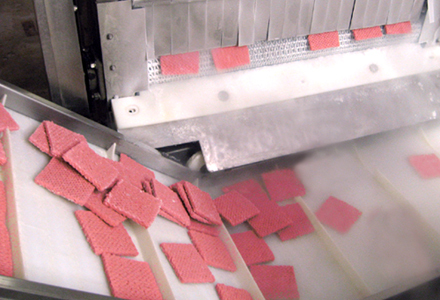 Meat processing expands to include more diverse products such as seasoned portion meat patties, fresh ground beef and pork, and cooked items, for example, BBQ beef and swiss steak in gravy. 1975 A major plant expansion adds over 12,000 sq ft to increase processing, freezer, and cooler facilities. 1991 Distributor sales increase with addition of liquid nitrogen freezer system. Expansion of meat patty line includes Pizza Patties. 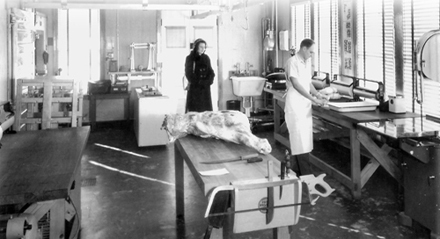 Cooking facilities expand, as well, to include BBQ pork, chili, sloppy joe, and coney sauce. Fresh cut steaks and pork chops remain available for the local restaurant/institutional trade. Private label products available. 1995 Business continues growth as Doug's sons, Justin and Brian, start employment. Distributor sales expand to a 6 state area as well as increase in the restaurant/institutional market within the Dayton area. 2005 Upon graduation from Wright State University with a business management degree, Justin assumes more involvement in plant management as Brian expands his responsibilities with day-to-day accounts receivable operations. 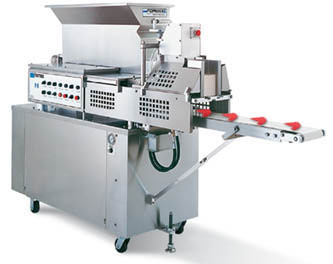 2005 Purchase of state-of-art Formax F-6 Patty Machine increases meat patty production.